Osbert Ward was one of those true English gentlemen who took up residence in Puerto de la Cruz between the 1880s and the 1940s, when the little town of less than 6,000 inhabitants was still known as Port Orotava. I describe him as a gentleman because he always did his best to show gratitude to his hosts, the local inhabitants in the Orotava Valley, for their hospitality. Having taken up permanent residence after spending many winters at the English Grand Hotel, the original name for the Taoro Hotel, he endeavoured to show his appreciation by trying to spread the news about his charming valley. 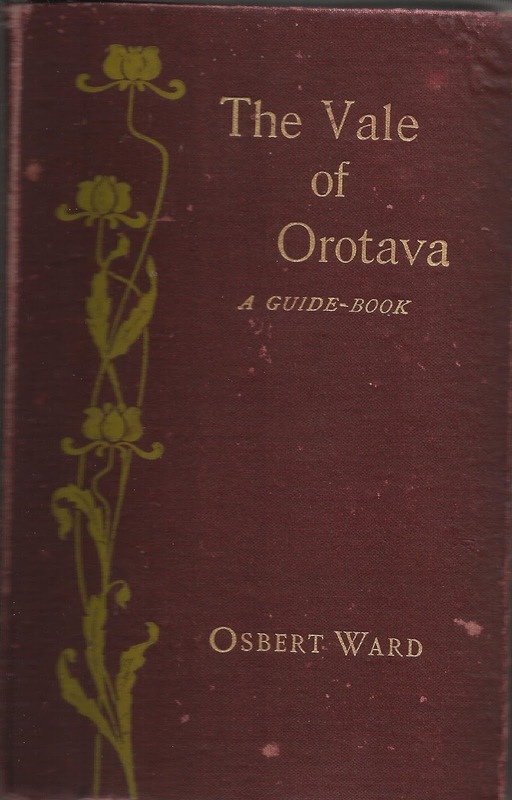 He is best known, by historians at least, for having written a quaint and observant guidebook called The Vale of Orotava, first published in 1886. Mr Ward also occupied senior positions in the British institutions in the valley, All Saints Church and the English Library. He was a man of energetic character and always willing to do his duty for the community. His mild eccentricity also amused the locals in Tenerife because he is believed to have worn a peculiar black hat and owned a car which local children called “the flying bed”. According to Mr. Austin Baillon´s archives he did all he could not only for the British colony but also to promote the importance and unique nature of northern towns like La Orotava and Puerto. He was also a perfectionist, enhancing his gentlemanly ways, and this is evident from some of his observations. For example, upon what to wear in winter months, Osbert Ward suggested the kind of warm clothing one would wear in a cool English summer, although people coming out from England might find that a bit hot on first arriving. “They break out into very light clothes, with, occasionally, disastrous consequences to themselves.” Riders, he recommended, should bring their own saddles, especially the ladies, if they wished to be comfortable. He warned against over-tipping the boys who came with the horses. “The effect is only to spoil the market, as the saying is!” Wages were so low, he pointed out, that a small sum is quite a fortune. (A man´s daily wage in the 1890s was only one and a half pesetas). Mr. Ward regretted the English visitor tended to have a habit of giving money to the children who followed the carriages begging. The result of this practice was that the urchins became a real nuisance and had been known to throw stones at people who refused to give them money! 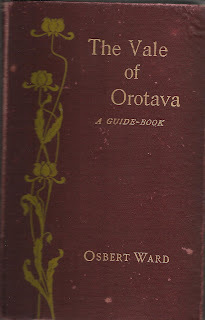 Like many British residents living in the Valley of Orotava, Osbert Ward lived to a ripe old age of 93 and died in 1949. He is buried in the Protestant cemetery in Puerto de la Cruz of which he remarked in his book, “One could not choose a more restful place to lay one´s bones in!" Mr. Ward´s guidebook is today considered a valuable source of interest to historians, and is mentioned in nearly all bibliographies of books and biographies concerning early British interests in Tenerife. 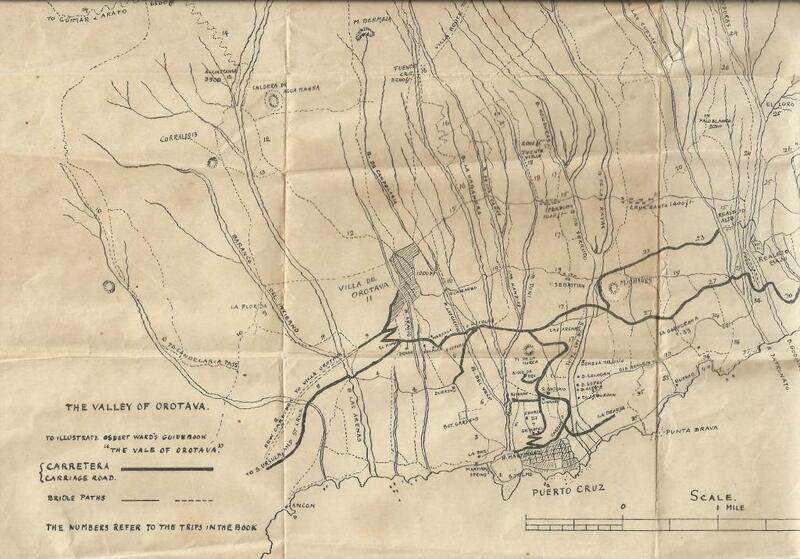 Part of the simple hand-drawn map of the Orotava Valley which accompanied Osbert Ward' book. Note the main carriage roads, in those days still simple dusty tracks, the bridle paths, and references to important British residents destinations such as the Grand English Hotel, All Saints Church, the English Library and British-built and owned mansions Risco de Oro, San Antonio and El Robado.